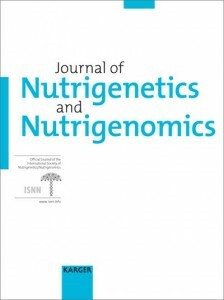 To address the increasi ng incidence of diet-related-diseases, the role of diet and nutrition has been and continues to be extensively studied. To prevent the development of disease, nutrition research is investigating how nutrition can optimize and maintain cellular, tissue, organ and whole body homeostasis. This requires understanding how nutrients act at the molecular level. This involves a multitude of nutrient-related interactions at the gene, protein and metabolic levels. As a result, nutrition research has shifted from epidemiology and physiology to molecular biology and genetics and nutrigenomics was born. We analyze and test specific nutrient substances that would either up-regulate or down-regulate genes that would be a benefit to our individual patient’s needs and long-term preventive health. Contact our Miami Chiropractic office to find out how you can benefit from a consultation with one of our doctors.